Kawasaki India has launched the new Z250 entry-level streetfighter in the country today at a price of Rs. 3.09 lakh (ex-showroom). The 2017 version of the smallest displacement Kawasaki road legal bike in India has some minor updates inspired from its recently launched larger siblings along with a new colour scheme but disappointingly no ABS is provided yet. The outgoing model was available in India at Rs. 3.11 lakh (ex-showroom, New Delhi) and thus the updated model is priced almost the same. In terms of design, the 2017 Kawasaki Z250 has not received any major change and it appears with similar design to the current model while drawing inspiration from the bigger capacity Z900 and Z1000 for a slightly sharper stance. The bike comes with a sleek and sculpted look that is visible from nose tip to toe. A sharp looking headlamp along with bikini fairing and chunky 17-litre capacity fuel tank enhance its muscular appeal. The analog and digital display consisting instrument cluster was expected to be updated though but it wasn’t. The seats are expected to offer more comfort for the rider and the pillion rider this time around. The sleek tail section along with the sharp taillight remain unchanged. The new paint schemes introduced to the bike is the Orange and Grey combo. Braking duty in the Z250 is done by a 290 mm front disc brake and a 220 mm rear disc brake the upcoming model too will arrive with same setup. Suspension duty is done by 37 mm telescopic front forks up front and 5-step adjustable gas-charged monoshock absorber at rear. Power source of the 2017 Kawasaki Z250 is the same 249 cc liquid-cooled, parallel-twin engine paired with a 6-speed transmission. 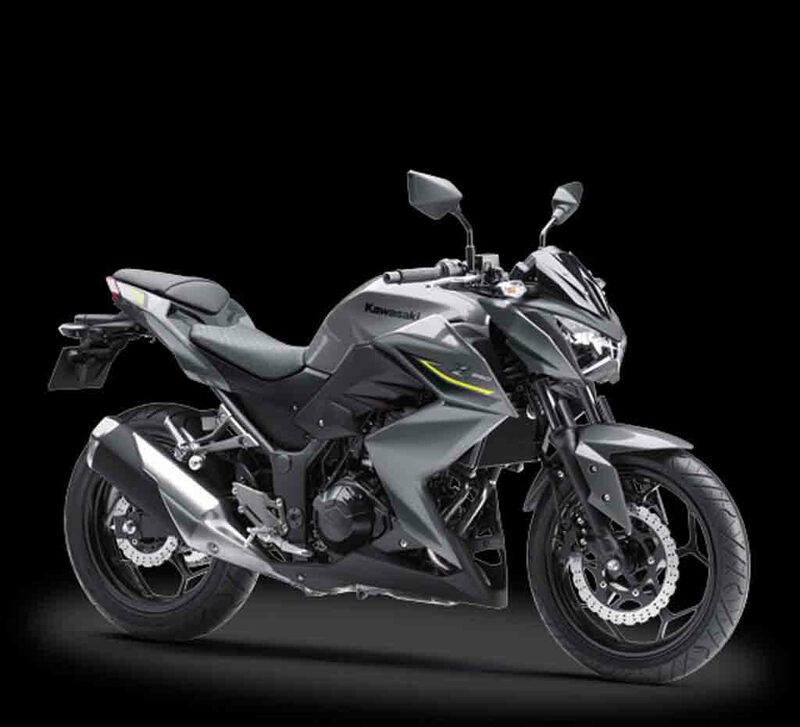 Expect the power and torque output to be same as the current Z250, which kicks out 32 PS of peak power at 11,000 rpm and 21 Nm of peak torque at 10,000 rpm. Upon arrival, the 2017 Kawasaki Z250 lock horns with rivals like the KTM Duke 250, Benelli TNT 25, KTM 200 Duke and Honda CBR 250 R.